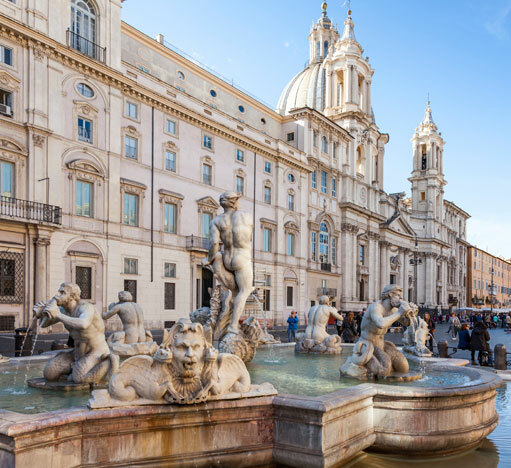 Location Martis Palace Hotel Rome The Martis Palace Hotel is found just 50 metres from Piazza Navona in one of the Eternal City's most exclusive and vibrant corners. The location is also logistically ideal for access to the capital's sightseeing treasures: the Pantheon, Trevi Fountain, Trastevere, St Peter's, the Vatican Museums and the Sistine Chapel are all reachable on foot. 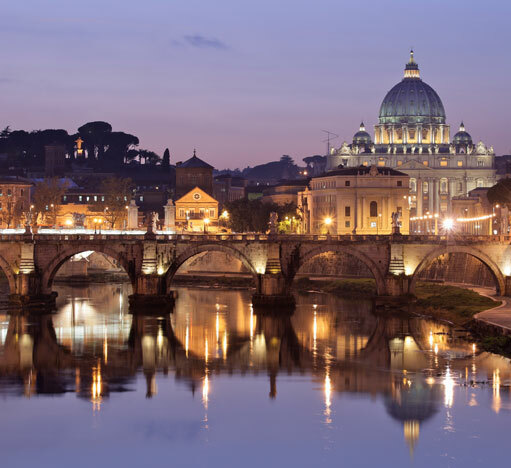 Our guests will find themselves surrounded by history, Rome's finest restaurants and bars and high fashion boutiques. From Fiumicino Leonardo da Vinci Airport (FCO): Take the Leonardo Express train to Roma Termini or one of several coach services available outside Arrivals. Alternatively, make use of our Shuttle Service by contacting us here at the Martis Palace Hotel Rome in advance. This service is available for a competitive supplemental charge. From Ciampino Airport (CIA): Take one of several coach services available outside Arrivals to Roma Termini. Alternatively, if you'd rather avoid the long queues of the low-budget airlines, book our competitively-priced Airport Shuttle Service and arrive in luxury and comfort. (Supplemental fee). From Termini Station: Take bus number 64 towards the Vatican. After nine stops get off at Corso Vittorio Emanuele / S.A. della Valle and walk 150 metres along Corso Rinascimento. Martis Palace Hotel is at Via San Giuseppe Calasanzio, 1.